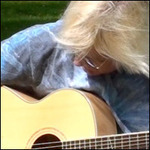 Sign up for Broadjam today to follow Kevin Simnacher, and be notified when they upload new stuff or update their news! 15 tracks of acoustic guitar compositions, ideal for traveling music, or just background/mood music. Songs about different perspectives on life, from the subject of loss to, feelings of regret, to ways to overcome in life. Melodic rock about topics such as Illegal Aliens, Time Travel, Interplanetary travel, and other life experiences. I always wished I had a Time Machine, so I could do everything I wanted to and still have time for rest, play, etc. Kevin Simnacher/©2013 SimRocker Publishing (BMI). All rights reserved. but when I looked, he wasn't there. and if that's true, he's GONE! and still have time to goof off with my friends! all my loved ones who have passed. And this life goes by too fast! Imagine travelling at the speed of light... or faster! Now just imagine that by some freak of fate YOU got enlisted in the United States SECRET SPACE PROGRAM, and sent on a recon mission to Jupiter. I wanted to write a song about just driving... to places unknown, or places I'd never been to before. An adventure of sorts. Imagine the sun is shining, a full tank of fuel and the wind blowing in your hair. Upgrade that to more of a space age scenario, and this is what I ended up with. "On Our Way to Jupiter"
we're on our way to Jupiter! The sun is shinin' and the tunes are blastin'! got me wishin' on a falling star! Young soldier "Johnnie" goes off to war, thinking it's a noble thing, but comes back from it a changed man. He realizes the hatred in his own heart. The year was 1981, and inspired by a new guitar I'd purchased, I came up with this picking pattern and counter rhythm which I presented to the band. Dan Boddicker, one of the lead singers of our band at the time, immediately started writing lyrics while the rest of us jammed on the idea I'd come up with the night before. It fell together rather quickly as I recall, and we had a brand-new song! Our band at the time, "Ratler" eventually did a demo recording of the song and we played it hundreds of times over the course of our time together. I always wished we'd taken the song further, so that's why I decided to include it in my album project. 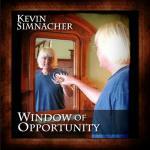 Kevin Simnacher/©2011 SimRocker Publishing (BMI) All rights reserved. through the darkness of the night. I should have read the signs. I'm gonna lose my mind. You gotta RISE to meet another day. In this life--this mortal quest. with things that waste my time? how could I be so out of line? lifts us to our everlasting source. to find the real you. You gotta RISE to meet another day.. Things may not turn out as all the 2012 "doomsday" predictions say. The music and the choruses were all I had before the CD was recorded, so I saved it for my own solo CD. It is more fitting to be released in late 2012 as kind of a prophetic "doomsday" or "end of the Mayan Calendar" theme. 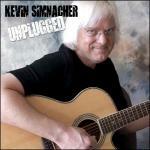 Kevin Simnacher/©2012 SimRocker Publishing (BMI) All rights reserved. Are there a chosen few? I always wished I had more time to do projects, to get extra sleep, to complete deadlines. I wished I had the competitive advantage. So why not imagine having a Time Machine? Nothing is static. The universe is in constant flux. Life is a series of windows of opportunities. Now is the time to embrace YOUR window of opportunity. pushing you down, down, down. You lost sight of your dream. Now I can see an opportunity. Faith fires the soul, and we all have to find it. Take a look around, just don't look down. and we all have to find it. The universe is in constant flux. Life is a series of "Windows of Opportunity"